Least liked: Having to go home !!! Villa Marianna is a luxury holiday villa for rent in the Coral Bay area of Paphos, Cyprus. This beach villa offers 4 bedrooms which are all ensuite (sleeps 8) and has a large private pool. Absolute privacy and seclusion while only 100 m from restaurants and the coast. Situated in the banana groves of Sea Caves between the popular resort of Coral Bay and the quaint fishing village of St George. This beautiful villa is equipped to a high standard and offers ABSOLUTE privacy, tranquility and wonderful sea views. The villa is a short walk to some restaurants and a small secluded sandy cove, short drive to Coral Bay and its two fine beaches. Sister villa Marianna-II in the neighboring plot making it suitable for larger groups and weddings (Please request 5% discount if booking both villas). For your peace of mind there is a security alarm system. This villa offers an automatic low occupancy discount for 4 guests or fewer throughout the year. - Open plan living area with patio doors opening on to the pool area, garden and terraces. - Lounge with Flat screen TV (smart TV with English channels), DVD and CD player. Open fire place for the winter months. - Fine fitted kitchen complete with oven, hob, large American fridge freezer with water cooler, dishwasher, microwave oven and washing machine. - Dining area with dining table to sit 8 people. - Bedroom 1: Double-bed bedroom fully fitted, with ensuite shower-room. Patio door leads to grounds (mountain view). All bedrooms have hair dryers and free airconditioning. - Bedroom 3: Twin-bed bedroom fully fitted with ensuite shower-room. Patio door leads to private balcony with sea view. - Bedroom 4: Twin-bed bedroom fully fitted with ensuite shower-room. Patio door leads to private balcony with sea view. - Private swimming pool 9m x 5m with Roman steps - depth 0.9m to 1.5m. Located in a beautiful green area less than 200m from the rugged sea-caves coast with many isolated sandy coves where you can spend the day. Close to amenities in Coral Bay (5km). You can enjoy the wonderful, unspoilt countryside of the Akamas National Park (2km) or walk to one of the few fish tavernas serving local cuisine located close to the villa. Paphos Town and Kato Paphos resort with the harbour and the castle are within 15 minutes drive.The villa is ideally located for those who wish for a bit of everything from their holiday; relaxation, nightlife and sight-seeing. - Refundable security bond for all functions - £500. 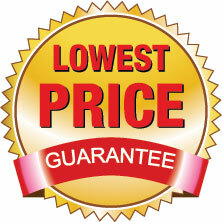 The surcharge and security bond are payable with the balance of your booking. Villa Marianna is in the resort of Coral-Bay within the PAPHOS-DISTRICT of Cyprus. Please click on the links to see more useful information on the resort the District and the Country (including contacts for local activities and places to eat, places to shop etc) . To get up-to-date comprehensive travel advice for any destination, including Cyprus, the Foreign & Commonwealth Office (FCO) advice (available here) covers vital issues about travelling abroad, including passports, visas, health, safety and security and more. Please continue to check this link for up-to-date information until you travel. To rent villa Marianna, first click on the red button "Price & Availability" for an instant online rental price quotation for your dates. At the end of the quote you will be given the option to put a NO obligation hold on this Away-From-It-All, Beach, Luxury, Romantic-getaway, Rural, Secluded, Wedding 4 bedroomed holiday home in Coral-Bay, Cyprus. Away-From-It-All, Beach, Rural, Luxury, Secluded, Romantic-getaway, Wedding. There are 2 large air con units in the open living area. Both are needed for efficient operation @ a total of 20 Euros per day . Payable locally at the start of your stay for the duration of your stay.